There are many ways to adapt books and materials make them accessible to all students. Below are some easy ways to modify materials to help create an environment of success. There are three basic ways to modify books for children with visual difficulties. Before you begin, decide the goal in the use of the particular book. What will you be focusing on? The concepts, vocabulary introduced, print recognition, pictures? Use your goals and objectives, along with the specific needs of the student, to appropriately adapt and modify the material. Simplifying the background by taking out visual clutter. Decreasing the visual clutter can be accomplished by cutting out the focus of the photo and placing it onto a black piece of paper. Adding a high contrast background helps to highlight the main portion or idea of the photo. Adding a high contrast background. Some children have a preferred color. Outlining the picture in that color will encourage them to gaze in the appropriate place on the page. Creating tactile or texture books. Creating tactile books enhances the pictures so the child can experience it by touch. Examples include using a feather to represent a bird or using straw to represent the straw house from the Three Little Pigs.Tactile books, or texture books, are simple to create and make the book come alive for children who cannot “see" what is on the page. Using real objects to hold and manipulate, such as an apple while reading 10 Apples up on Top, is another way to increase engagement. Creating a story box which contains multiple objects relating to a story is recommended. Making the book easier to handle and manipulate increases exploration and enjoyment. Make the pages thicker by mounting them to cardboard, placing tactile markers to help the child locate specific parts of the book, such as buttons glued on a picture of a snowman, and adding “page fluffers" to the corners of the pages to allow space between each page for easier access for page-turning. These can be small squares of foam or cardboard glued directly onto the page. Cortical Vision Impairment is a neurological condition in which vision is impaired due to abnormalities in the brain and visual processing. Many children with Cerebral Palsy or similar diagnoses may also have CVI. Color preference-What colors to choose for materials? Need for Movement-How much movement is required? Visual Latency-How long to present materials? Visual Field Preferences-Where to present materials? Difficulties with Visual Complexity-Which level of complexity to present? Light Gazing/Non-purposeful Gaze-Control lighting in environment. Difficulty with Distance Viewing-How close to present materials? Difficulty with Visual Novelty-How do materials relate to visual memory? Absence of Visually Guided Reach-How many cues/prompts/time needed to respond? All of these conditions must be intentionally considered when creating an environment for early-literacy learning. Decrease lighting and adapt books to help the child focus more on the main part of the book. Use a black curtain or foam board behind the book and use a flashlight to point out the picture or photograph. Many of the suggestions for children with other visual impairments are also appropriate for children with CVI, such as adapting the book for less visual clutter, simplifying background, adding contrast, and lowering text and picture complexity. The use of tactile components and picture symbols is also recommended. All children can learn. When teachers provide appropriate and effective modifications to materials to meet children’s needs, children can grow and learn in all developmental areas, including early literacy. Bilms, M. (2014). 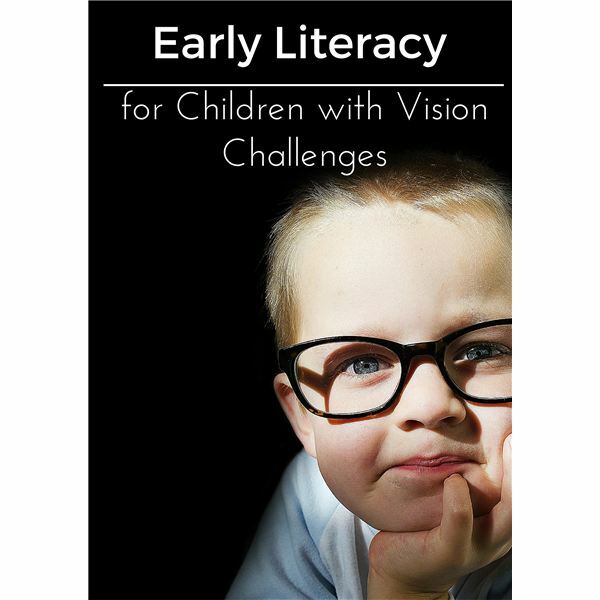 Cortical Vision Impairment and Adaptations for Literacy. Paths to Literacy. Roman-Lantzy, C. (2007). Cortical Vision Impairment: An Approach to Assessment and Intervention. AFB Press.